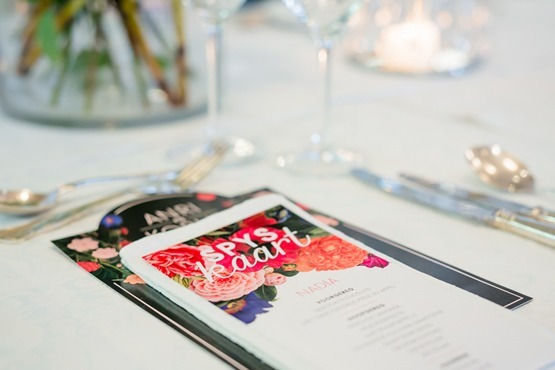 Classic white and ivory will always have a place, and greys have been especially prominent, but right now flowers in full bloom and bursts of vibrant colour are coming to the fore. 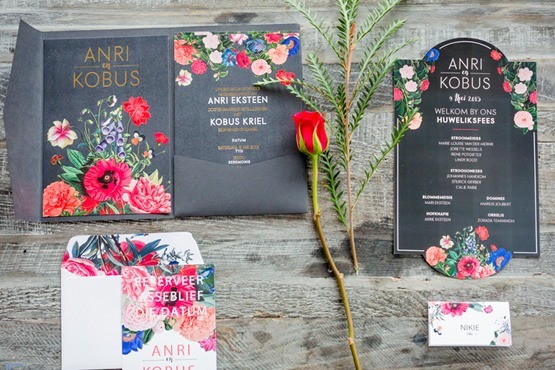 Also trending is rose gold foiling, on navy card – a boldly stylish look. 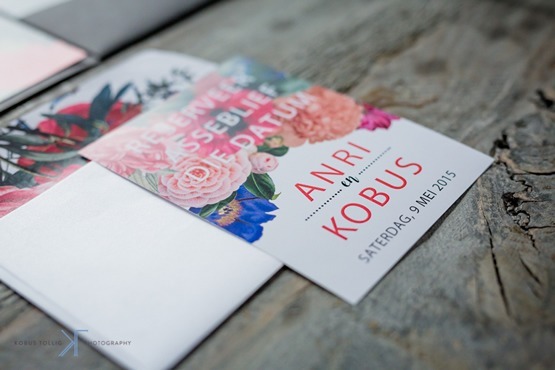 This is exactly what Anri and Kobus went for with these stunning digital invites. 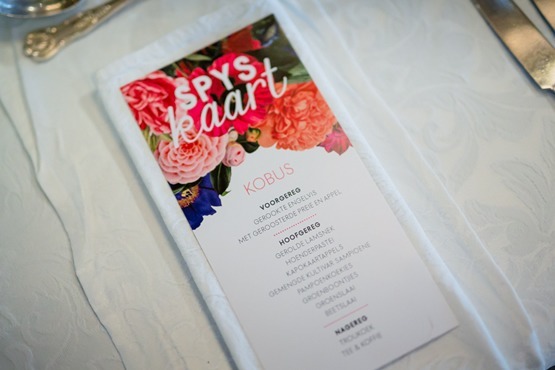 They incorporated bright flowers with their wedding stationery to boost their botanical Spring wedding theme. Finished off with hints gold and simple organic materials that worked extremely well together. finish off your design. 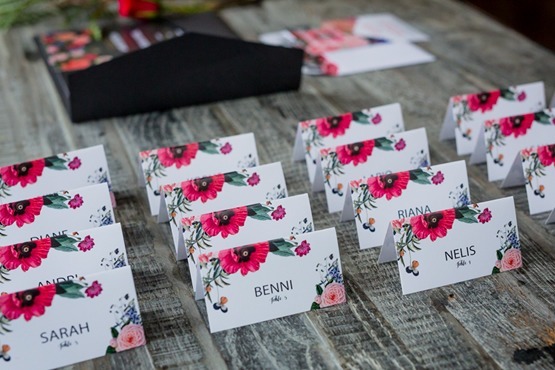 Individual digital name tags, menus, envelope liners and save the dates all printed with the same floral pattern finish off their stunning design.